Bahraini national Ebrahim Almubarak was crowned the winner of the Middle East finals of the McLaren Shadow Project, securing the opportunity to represent the region in the 2019 world finals at the McLaren Technology Centre in the UK in January 2019. 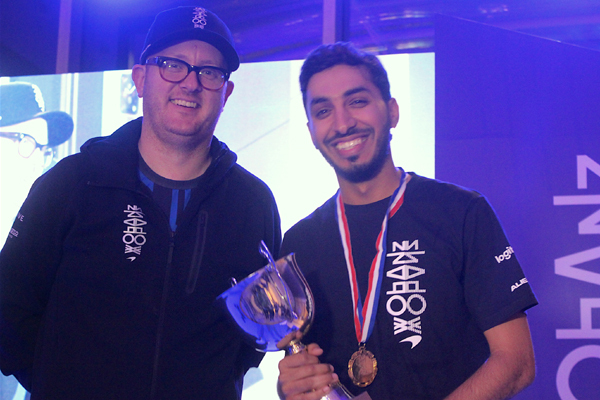 Held at The Avenues Bahrain, 16 talented esports hopefuls went up against one another in the live final in front of a large enthusiastic audience with Bahraini Ebrahim Almubarak coming out on top, after winning a tournament comprising timed qualifiers, quarter finals, semi-finals and a grand final. McLaren Shadow Project’ is a virtual racing programme that shadows McLaren’s real world. The champion of McLaren Shadow Project 2018 will win a place on the new McLaren esports team and go on to race online against the best teams in the world. The winner will also win access to the McLaren esports development programme. Ebrahim goes through to the McLaren Shadow Project Grand Finals where he will compete for a seat in the team’s 2019 F1 esports team. The eventual victor will not only win a seat in the new esports team but also join the McLaren esports development programme where he will hone his skills and work with the McLaren Formula 1 team. Mohammed Jamal, also from Bahrain, finished runner-up in the competition, with Haitham Abdelkaber from Egypt in third position after a hugely competitive final. McLaren Shadow Project Middle East has been made possible as the result of a partnership between Bahrain-based Atyaf e-Racing and the McLaren Formula 1 team with support from Tamkeen – a national entity which aims to promote human development and entrepreneurship in Bahrain. “We’ve been blown away by the passion and talent of the sim racers in the region. The competition today was great to watch, and we’re very much looking forward to welcoming Ebrahim to the McLaren Technology Centre in January to go head-to-head with our other Shadow Project finalists,” said Ben Payne, Director of esports at McLaren.